Well, 18 films into the Marvel Cinematic Universe and you could pop in any one and experience the same Blu-ray quality. 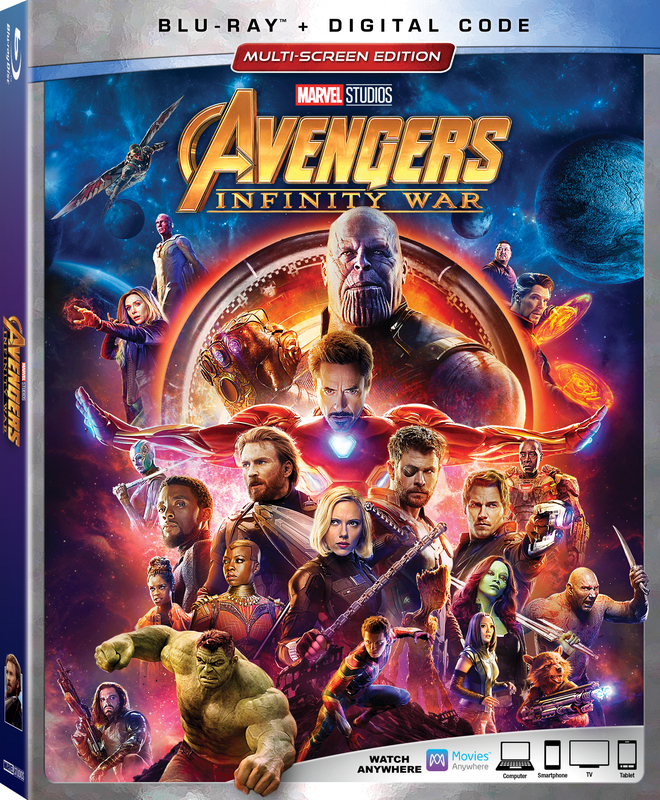 The Blu-ray of Avengers: Infinity War are only the latest example of the franchise’s consistency. The colors look like a comic book come to life. These frames may be a tad more packed than usual though. There are full CGI characters, backgrounds, costumed heroes and massive debris all in the same scene and it looks like every element was real in front of the camera. 10 minutes of deleted scenes include Happy Hogan’s cameo, some tension to Scarlett Witch and Vision’s battle in London, more Nebula being badass, a payoff to the Zune, a Guardians of the Galaxy pee pee joke, more Thanos/Gamora drama and lots of nifty unfinished effects. The Russos and wrtiers Markus and McFeely give a full commentary touching on various script revisions and early ideas as they figured out how to combine 10 years of Marvel movies and make it work. I’m shocked they had test screenings. How on earth did they keep it a secret? Maybe they didn’t show the end. 30 minutes of featurettes are pretty much standard soundbites. You get to see Josh Brolin acting in mocap. Victoria Alonso says the movie is one big CG scene as if to brag. Oh, and the secret title on the slate was Mary Lou. So add Avengers: Infinity War to your MCU collection. It belongs there with the other 17 films.